So this will be the end for Hosting HD2 Server. I Think it will need only 1-2 years and no one will playing HD2 anymore. Anyway, the Servers will stopped at 6.12.2011. Personally, i will start playing Red Orchestra 2.
lets talk about Noob clans. 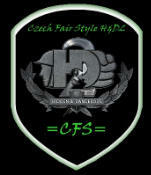 quote:"We are 100 % fair players, high skilled and trained - not cheaters, like call us mostly czech and slovakia "players". Dont be like them, stop calling us cheaters!" Maybe you saw Players like Imperia, Morfus or more of that cool Nicknames on -=V=-Public Server. And maybe you wondering why they kill you all the time in Standing wirh BAR or see him Jumping over the whole Map. the most of these Players are using Cheats like "No Recoil" or use Bugs for better Sprints. Anyway, in spite of everything they say they are the Best and Fair Players. BUT why they lost Cw's against Old and New Clans like #Elite or Kangaroos or [oY°] ? We ([oY°] Clan) Saved a lot of Screens on which they insult us, we only win with our Member Nobody or we cheat or we are noobs and so on. BUT they copied our Strategies and Tricks and lose in CW's. Today i wanna make a 1on1 vs Morfus. So he come on Server and say, he have connection problems.So i send him again the Connection Data and he talk again he cannot connect. But on the Server Client i read... "Morfus (IP) connected". on the first Pc he play HD2 and on the Second Pc he connect with BION,i said that to him. Becouse when you connect with bion and your on the gameserver... you can read "you connected to the Server". He only talk to me"i dont know what u mean xD"
lets see the Protokol ! Anyone can make their own opinion. I only Write the Facts about this Clan. to stop the "Extreme Nading". I wanna make it on Normandy2b ,too. I Count all Players in a Range of 5 Days to make a Toplist of the Most HD2 Players on the Earth. everyday 417 different Players from 46 differnt Countries. I`ve addet a Function that save all Ip`s with her Nichname and Homeland for 1 Day. At 03:00 o`clock (UTC+1) the list will be cleared. With the RSC_Client i can View every Different Player who is connected since 03:00 o`clock. I will Call it the "Resource Ban" Function. Currently 30 Countries are registered. and the most occurring Countries(Germany,Poland, Czech etc.) will be Shown as Category in that Form. Server Start/Stop and Messages are still from Server Manager 2.9. Later it will be completely finished.